IRELAND is ready for its biggest summer of music ever as The Irish Post Music Awards prepare to rock 'n' roll into town. The first three acts of a massive line-up of artists and performers have been announced this week. The Blizzards, including lead singer Bressie, with join pop star turned country queen Una Healy and folk phenomenon The High Kings for one epic night in Killarney this June. Una Healy, originally known as part of multi-platinum selling group The Saturdays, released her singer/songwriter country-tinged debut album The Waiting Game through Decca Records in Feb 2017. She embarks on her first solo tour Voice Inside of Me tour across Britain and Ireland this June. Her debut solo single Stay My Love featured Sam Palladio from the hit ABC television show Nashville and was co-written by Una and Grammy Award-winner Amy Wadge. Una is currently in the studio working on her second solo album and has just released a brand-new single Never See Me Cry. Una joins an incredible line-up of top music acts from Ireland to launch the inaugural Irish Post Music Awards on June 7 in the INEC Killarney, Co. Kerry. The Music Awards, supported by IMRO, will build on the success of previous Irish Post events by bringing the best Irish performers to music fans in Ireland. The live music event follows the success of The Irish Post Country Music Awards last August and The Irish Post Awards in November. “2017 was an incredible year for Irish music," said Keith Johnson, Director of Marketing & Membership, IMRO. "A wealth of emerging talent made serious inroads in various international territories around the world and in so doing reaching new audiences each step of the way. Joining Una on stage will be indie rock group The Blizzards. 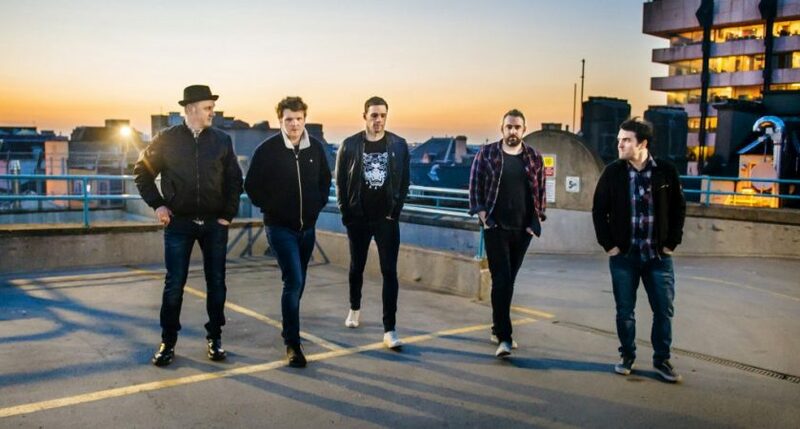 The Mullingar five piece, who reformed recently after a six-year hiatus, are hitting the ground running. These power pop chart toppers are obviously no strangers to the Irish music scene. Before the Voice of Ireland, and Niall Breslin’s solo and producing career, The Blizzards drew crowds of sincere music fans with their combination of catchy pop toe tappers and contagious beats to stages at Slane, Oxegen, Indiependence and The Olympia. Since the band's conception in 2004, their release history is nothing to be sniffed at. The Blizzards have released seven charted singles and two albums. Their debut album, A Public Display of Affection, was released in October 2006 achieved double platinum status in Ireland. Their second album Domino Effect, released in 2008, entered the Irish Album Chart at number two and birthed four singles, the top three track Trust Me, I'm A Doctor plus The Reason, Postcards and Buy It Sell It. Live performances were always where the band excelled and over the years, The Blizzards have shared stages with such musical heavy weights as Oasis, Kaiser Chiefs, The Prodigy and AC/DC. The Blizzards will be one of 10 of the country’s top acts performing under one roof for this incredible night of Irish music. With awards in nine categories, including Best Country, Best Folk and Best Pop/Rock, a Lifetime Achievement Award will also be revealed on the evening, which is being broadcast live on TG4. Winners will be picked by a panel of distinguished judges and a public vote. Best Singer/Songwriter, Best Album and Best Single will also be honoured alongside a Best Indie Award and Outstanding Contribution to TV/Radio. The High Kings has brought the heyday of ballad groups such as The Clancy Brothers and The Dubliners back to a new generation of music fans. The self-titled debut album, released in 2008, reached a highly impressive number two on Billboard Magazine’s World Music chart. It was during The High Kings second tour of the US in 2011, however – having graduated from playing small venues to larger halls as they promoted their follow-up album, Memory Lane, which also crashed into Billboard’s World Music chart – that everyone involved realised the fanbase was growing into something that no one had predicted. The High Kings have received the stamp of approval from the likes of Christy Moore and, perhaps more pertinently, Ronnie Drew, the lead singer of The Dubliners, and the man behind one of Ireland’s most recognisable and enduring ballad voices. More was to come in 2013 with the group’s third studio album, Friends For Life, which featured original songs among the traditional fare. 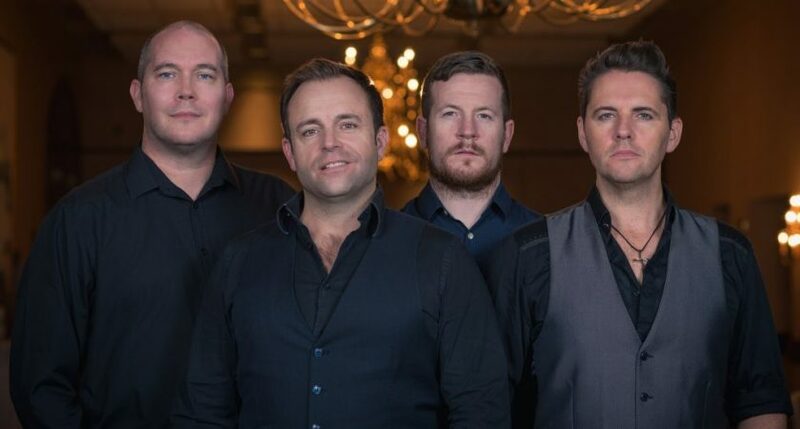 To say that The High Kings are charting a new course for Irish ballad music – equal parts rousing and reflective, energetic and insightful – is an understatement. With 2016's Grace & Glory, the band widened their appeal and fanbase, while 2017 saw the band continue with intensive touring of Ireland, Britain and America. The departure of original High King Martin Furey and the arrival of young-gun George Murphy to join Finbarr Clancy, Brian Dunphy and Darren Holden has brought a new hunger to the High Kings and their audiences alike.